Rod Repton retired from the police service in August 1999 having served 34 years. In that time, he progressed through the ranks to finish as a Detective Chief Inspector. During his service he specialised in Criminal Investigations including Murder, Armed Robbery, Major Drug Importation Conspiracies and Kidnapping, being nationally trained as a hostage negotiator, as well as serving in the Special Branch and National Drugs Squad. He set up the Drug Profit Confiscation Unit for the force and worked as an Investigator and Supervisor. Rod was also seconded to the Regional Crime Squad and was also the first officer to be posted to New Scotland Yard in the Central Drugs Intelligence Unit. Rod worked with the Royal Canadian Mounted Police in Vancouver on a murder investigation. He also visited and studied policing methods with the Narcotics Squad in the New York Police Department and the Italian Police in Northern Italy. In 1999 he set up his own Investigations Company, which has a sister company in New York. Born out of his experiences comes a unique view on life. Whilst clearly there�s a serious side, he�s never short of an anecdote or humorous tale on his experiences in both the public and private sector. He has 6 years� experience as a cruise enrichment lecturer, having presented for many companies. 1." 1. wanted to thank you so much for engaging Mr. Rod Repton as a speaker on our cruise. He had such a fascinating way of relating events from his experience that we were not only entertained but educated about the workings of law enforcement". 2. "We have just returned from a wonderful CELEBRITY British Isles Cruise which was all the more delightful having met Roderick Repton. His lectures on crime were fascinating due to his personal field experience and his great delivery of all of the facts. As you may know, North Americans are very loyal followers of all the Law and Order and CSI television shows, so to meet the "real deal was very enthralling." 3 "Dear Rod, It was a pleasure to meet you, and I think it was obvious that MaryAnn and I both enjoyed your talks a great deal. In fact, I noted the lecturers as a trip highlight on my Cruise-evaluation, and mentioned you by name." 4 "To Whom it may concern: My wife Cristin George & I recently joined Princess Cruises on a 33 day adventure from Los Angeles Ca. to Venice, Italy via the Panama Canal. We were thoroughly entertained by retired DCI Roderick Repton in his Police & Crime lecture series on our sea days from Ft. Lauderdale to the end of our trip. We enjoyed his lectures and actually worked our ship schedules to make sure we did not miss any of his lectures. 6.My wife & I are Elite members with Princess, and have therefore been on quite a few cruises, and listened to many guest speakers in our time. We have just been to the Canaries on Emerald Princess and felt I must write re Rod Repton, the guest speaker. It takes a good speaker to fill the Princess Theatre, and even better one to fill it for every one of their presentations. Rod Repton was exceptional. Not only did he fill the Theatre every time, his presentations were informative, entertaining, humorous when appropriate and serious when needed. I was initially not sure about the topic of "Policing" when I read the details in the Princess Patter, but I like many others were delighted with the content and delivery of the presentations. I would be delighted if I was on a cruise and read that Rod was again to be the guest speaker! 8. From Philippe and Ingrid G.
One of our favorite activities on the Emerald Princess was attending the enrichment lectures of Detective Rod Repton. He selected interesting cases to present, and has a lovely and warm stage presence. We were cruising with 2 young kids, and while most of the activities on board were geared towards adults, Mr Repton was kind enough to answer our children�s questions and speak with them at length outside of the lectures, making them feel special and included. We found that he was a jovial presence on the ship, and enjoyed his company outside of the lectures for a drink. He seemed to be an ambassador of he ship! I just wanted to thank you for the lectures you gave aboard The Emerald Princess whilst on our recent Canary Island cruise, I really found them very interesting and attended every one! You will be pleased to know when completing the Princess find back survey I informed Princess how much I had enjoyed your lectures. 10. "As regular cruisers we are always looking for new ways to be entertained on board so when we read in the daily itinenary about Rod's presentations we were thought we'd give them a go. The presentations were intriguing and informative and left us wanting to know more! The Wallace murder case especially got us really thinking and we love nothing more than a 'whodunnit'! Rod has a great way of portraying the stories and has a great sense of humour - after all we didn't want something too heavy whilst on holiday!"... Sam and Lee Arnold Doncaster. 11.Every cruise needs a murder, a bit of organised crime and a knife-edge hostage situation. Thankfully, former Detective Chief Inspector Rod Repton provides it all in the comfort of the on-board lecture theatre. A dyed-in-the-wool old-time copper who's dealt with everything from drunks in Derbyshire to a spell with the New York drug squad battling to win back the streets of Manhattan, Rod has the audience enthralled in morbid fascination and plenty of laughs. ⦁	A Policeman�s Lot � The old Dixon of Dock Green is no more! ⦁	Investigation in the private sector. 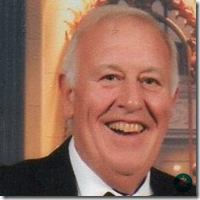 Rod has considerable cruising experience with Princess, Celebrity ,CMV Royal Caribbean,Saga and Fred Olsen and has lectured on 11 cruises in the past 6 years. Feedback :Rod had a great series of talks on crime, murder and even did a 'whodunnit' murder investigation as his last talk, he could be utilised on any cruise. I have a Seaman's Discharge Book and had Yellow Fever injections for working in the Amazon and South America. Also full public liability insurance for working on cruise ships.